Bison offensive lineman Ryan Wengelinski makes a block during Bison football training camp 2017. Bison offensive lineman Ryan Wengelinski is the poster child for overcoming obstacles both on and off the football field. When he was 13 and playing community football for the Fort Gary Lions, he was hanging out with the kicker after practice one day waiting for his ride. He decided to work on his own field goal kicks while he waited, and just as he was following through on one of his attempts, a nail from a piece of farm equipment got jammed up into his foot, breaking four bones. The pain didn’t stop there. He would later get bone poisoning due to an improperly administered Tetanus shot. Wengelinski almost lost his foot, relied on crutches for weeks, and had to stay on antibiotics for several months. 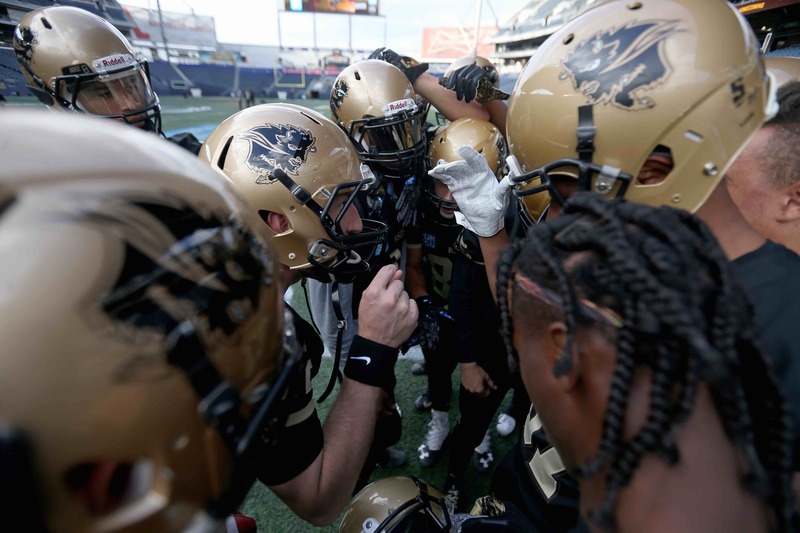 Wengelinski eventually got back on the football field, playing in high school for coach Kelsey McKay and the Vincent Massey Trojans, which he said helped propel his desire to continue with the sport after graduation. “The amount of time Kelsey put into that program and put into myself in general of just encouraging me to be around and watch film and workout, all that stuff kind of shaped me to be a leader and step forward and really, really chase after football,” he said. 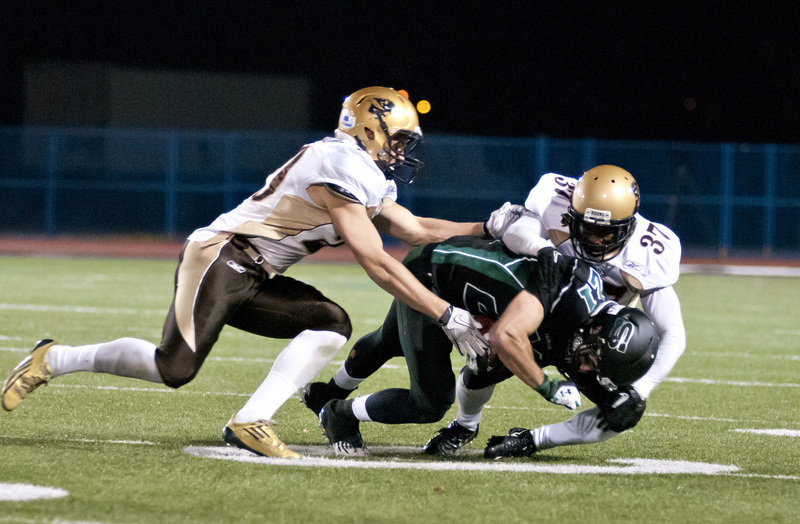 Wengelinski was not originally planning on playing university football when he graduated from Massey in 2013. Instead, he was focused on taking a few years off from school to get work and life experience. 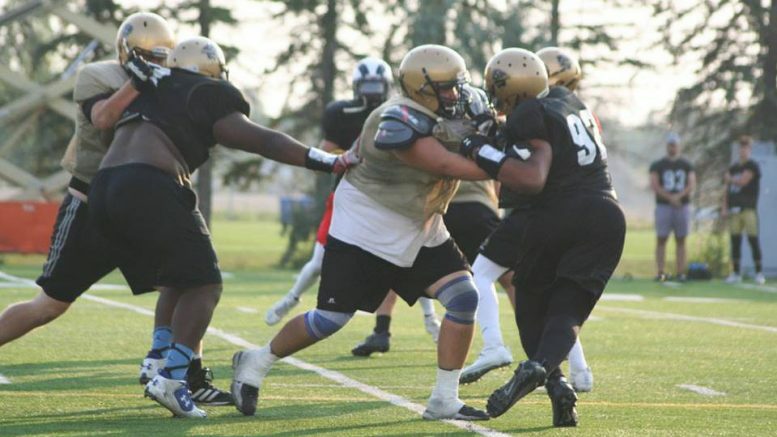 But that didn’t mean that junior football was out of the equation and after considering offers from a few different teams, he chose the Okanagan Sun of the British Columbia Football Conference (BCFC). Wengelinski earned a starting spot with the Sun, before he got injured again, fracturing his ankle just games into the season. He attended rehab and worked to get back on the field before the season ended, but his coach suggested shutting things down for the season. It did not sit well with Wengelinski. A week before the season was over, he decided to pack his bags and fly back to Winnipeg. At that point, Wengelinski didn’t know what his football future was going to look like. The following season, though, he was back to the grind, playing in the Manitoba Major Junior Football League (MMJFL) for Fort Gary. His team went undefeated, winning the Lloyd Urbanowski Trophy in the process. 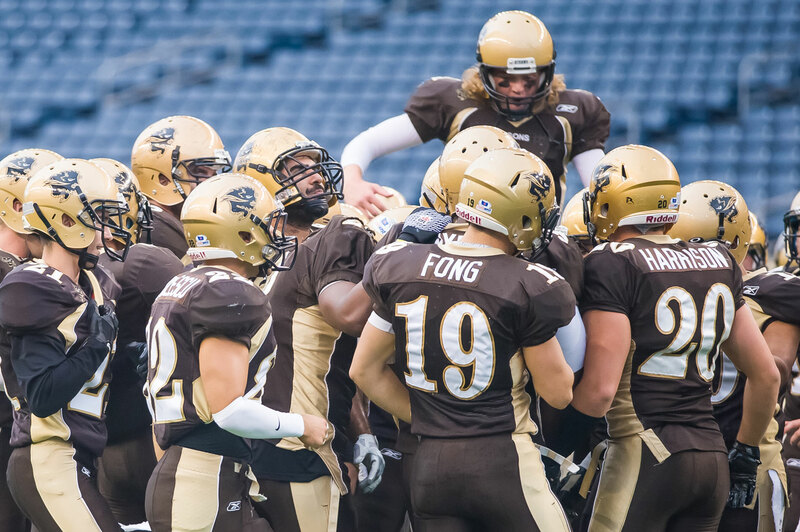 Rejuvenated from the success of 2014 with the Lions, Wengelinski contacted his old coach at Okanagan, looking for a second chance with the team in 2015. He was welcomed back and the team rolled their way to a BCFC title. “We came a little short of the national championship, but that step right there of going back and realizing my mistakes definitely propelled me into being in a situation where I am now,” he said. 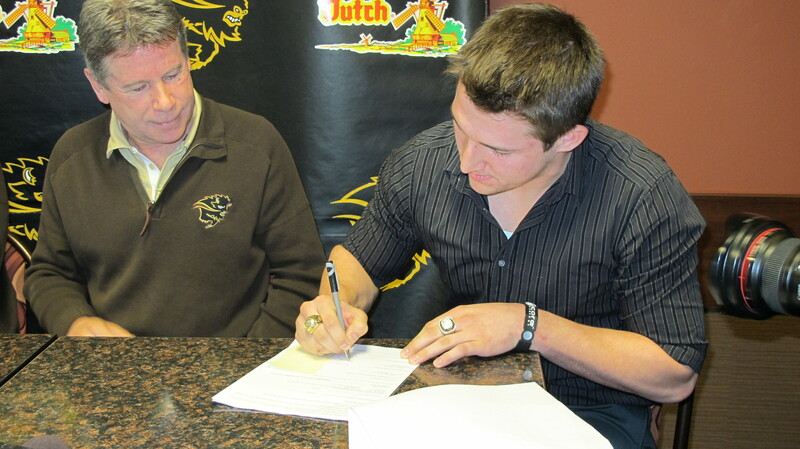 The natural progression for Wengelinski at the end of the 2015 season was to come home, and try to make the Bisons football roster for the 2016 campaign. He said he trained hard in the lead up to spring camp, and gave his everything on the field. He was rewarded with a roster spot, but was not expected to make much of an impact. This statement motivated Wengelinski to work hard, and he went from a walk-on last season, to a starter in game one of 2017. “I just looked at where I came from and where I was at the point where they literally told me you might not be on this team,” he said. Wengelinksi suffered another setback in the opening game of the 2017 season, as a foot injury forced him to the sidelines for the rest of the year. But at this point, fighting through adversity is simply embedded in his brain.